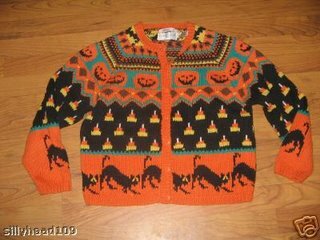 I am pretty sure that if you wore this sweater on the 31st of October and only this sweater ( no pants or skirt at all) no one would notice. They would be blinded by all the jack o lanterns. I found this sweater on Ebay, surprisingly, there are no bids on it. 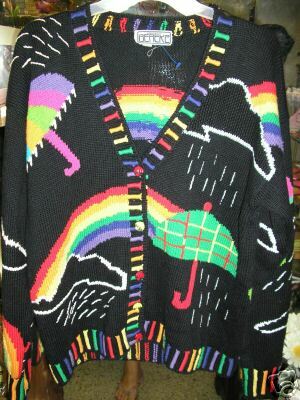 It looks like Rainbow Brite and some LSD got it on for the creation of this monstrosity.